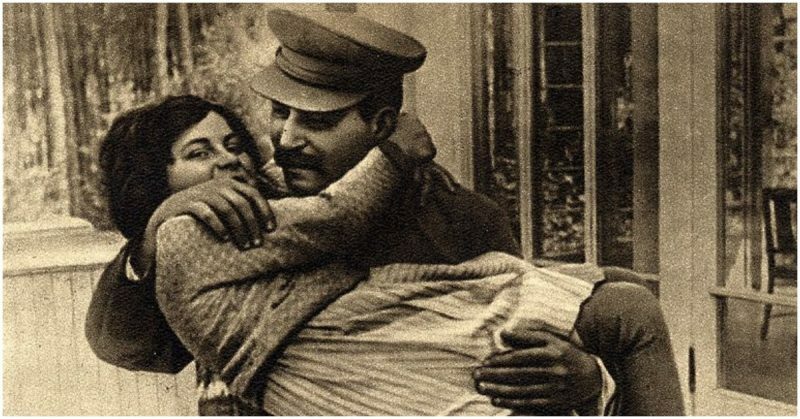 Stalin with his Daughter. Svetlana 1935. Communists were the archenemies of all Nazis. The Soviet Union, therefore, had to be attacked and destroyed. Operation Barbarossa, the German attack on the Soviet Union, was the greatest military operation of the Second World War. It deployed thousands of aircraft, tanks, artillery guns, and more than six million people. Furthermore, it brought two of probably the most totalitarian regimes in history against one another. It turned out to be the bloodiest theater of the war. However, in the first few weeks of the operation, it didn’t look like the clash of two colossi. The German advance seemed like an easy summer walk — the Red Army was simply unable to challenge them. The Soviet commanders were confused, and state leadership was nowhere to be found. 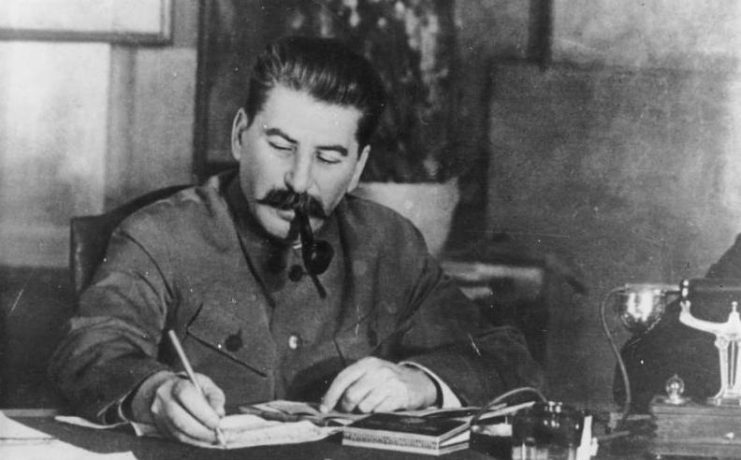 Stalin, the master of life and death in the Soviet Union, was so shocked by Hitler’s betrayal of the 1939 Pact that he suffered a nervous breakdown and left a power vacuum for two days. Was it a mental collapse? Exhaustion? Or maybe it was just another one of the tyrant’s games? Before June 1941, Stalin believed himself to be safe from Hitler. The two countries were not allies, but they were in a state of economic and political symbiosis. 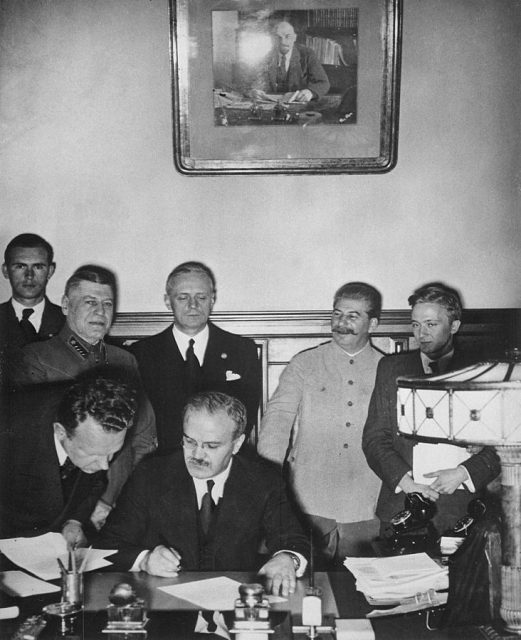 Vyacheslav Molotov signs the Molotov-Ribbentrop Pact, a German–Soviet non-aggression pact, August 23, 1939. 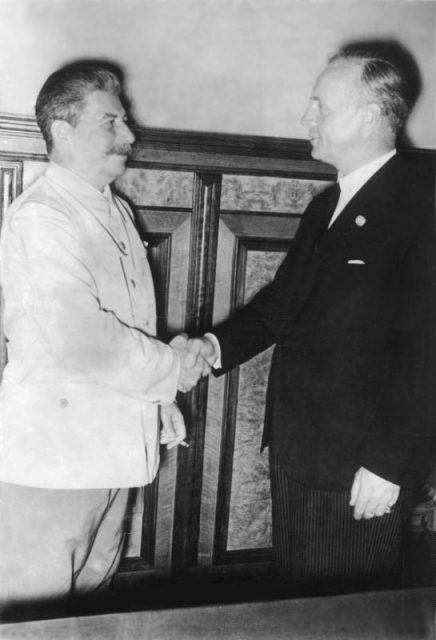 This “friendship” culminated with the non-aggression pact signed on August 23, 1939. This pact implied not only guarantees against war for ten years but also established the spheres of interest for the two countries. This was best illustrated by the case of Poland which was divided between Germany and the Soviet Union after it was crushed in autumn 1939. Even though their relations deteriorated in 1940, Stalin lived in the comfortable knowledge that the war was far from his doorstep. Hitler, on the other hand, had different plans. East was his “Lebensraum” – the Living Space and a goldmine of much-needed oil and other resources. In addition, Communists were the archenemies of all Nazis. The Soviet Union, therefore, had to be attacked and destroyed. In the first months of 1941, Germany began to mass its troops along the border with the Soviet Union. Around three million soldiers were moved and prepared for the operation in greatest secrecy, but such preparation couldn’t pass unnoticed. 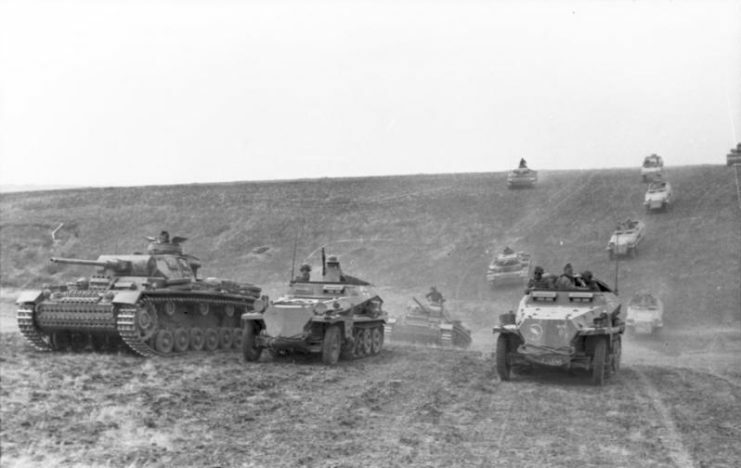 Germans were on the warpath, and signals about it reached Moscow from all sides. When Churchill tried to warn Stalin about German plans, the Soviet leader saw it as a dirty attempt to lure him into war against Germany. Even admonitions from his most trusted spies and associates were not enough. On several occasions, Soviet master spy Richard Sorge reported from Japan about an imminent war with the Germans. He even provided an accurate date of attack. The only thing Stalin did was to mock him. On June 22 at 3.15 AM, German soldiers crossed the Soviet border. Artillery began firing shells, tanks pushed ahead, and planes roared through the sky. Operation Barbarossa had begun. 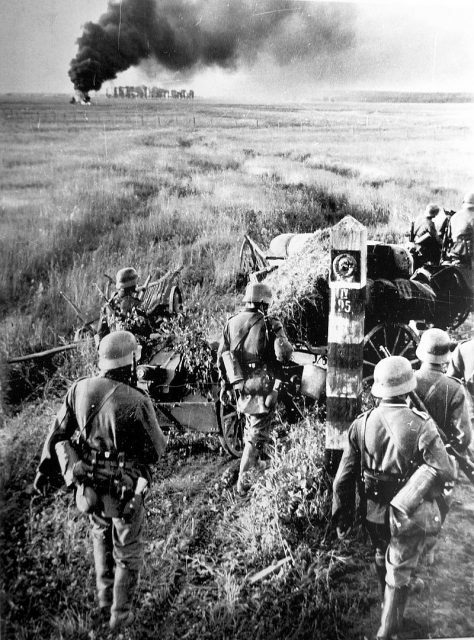 The German forces were split into Army groups North, Centre, and South, meaning that German troops were scattered across Soviet territory. On the first day alone, the Luftwaffe destroyed more than 3,000 Soviet planes, which was half of their entire fleet. 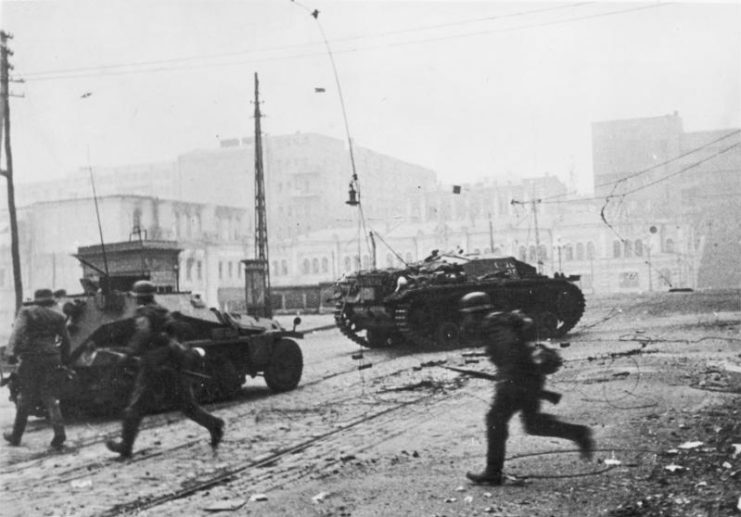 On the ground, the army penetrated up to 62 miles into Soviet territory. There was hardly any resistance from soldiers of the Red Army. It wasn’t just that they were surprised by the Germans — they were completely unprepared to confront them. It was Stalin’s fault that the Army was on its knees. The finest officers had been killed during the Great Purge. Those who remained were either inexperienced or hampered by the fear of Stalin’s death squads. After only a few days, it seemed that Barbarossa was to be yet another triumph of the German Blitzkrieg. One after another, western regions were falling under the German boot. Thousands of soldiers were captured as well as entire stocks of weapons and other war materiel. It was a Soviet disaster on a massive scale. 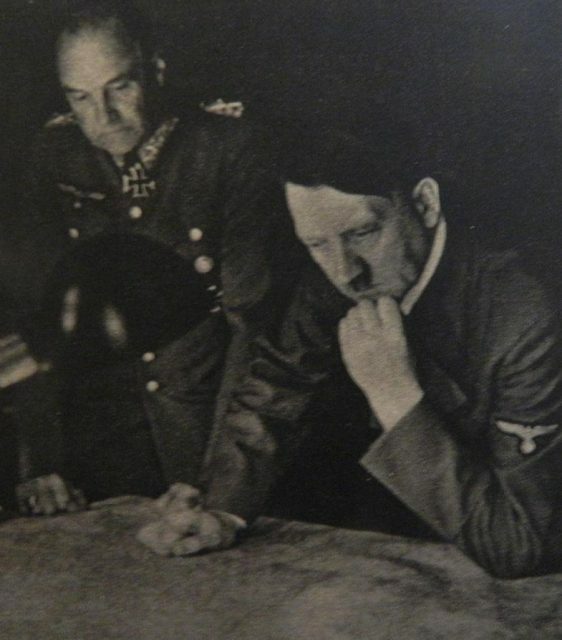 So strong was Stalin’s belief that Hitler wouldn’t attack that he was completely bewildered when he realized on the night of June 21 that the Germans were coming. 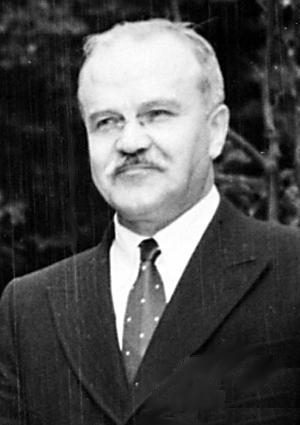 He was shocked when his foreign minister, Molotov, handed him a German declaration of war. At that moment, only his anger prevented him from collapsing. Stalin gathered his men and issued an order to attack Germans wherever they had penetrated the border. He did not just want the enemy to be repelled, he wanted them to be annihilated. These orders, however, bore no relation to the calamity that was going on at the front. Officers still tried to obey such instructions though, fearing repercussion if they didn’t. It only made the disaster even more tragic. In days that followed, Stalin, his generals, and his closest associates spent all of their time in his office. They were trying to get a handle on the situation, but instead they only managed to realize the true scale of their predicament. The fall of Minsk was the final straw. 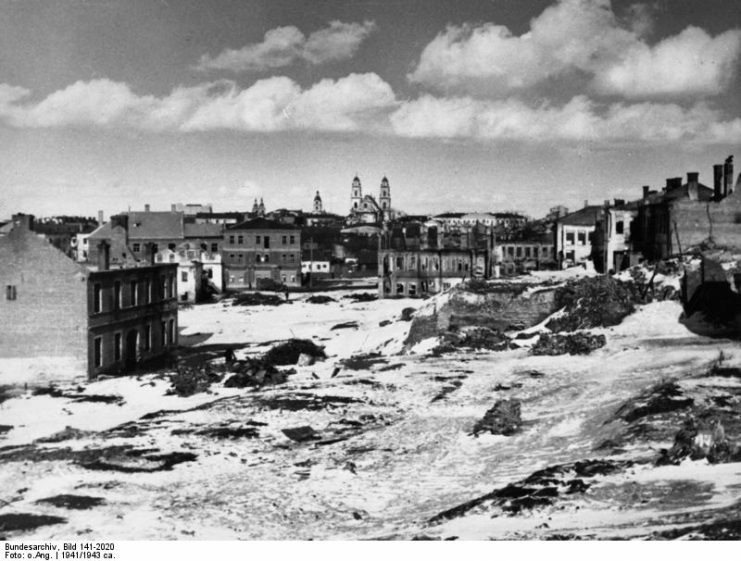 On June 28, 1941, German troops entered the city, destroying on the way five Soviet armies. Around 324,000 Soviets soldiers were captured along with 3,300 tanks and 1,800 artillery pieces. From Minsk, the Germans had an open road all the way to Moscow. For Stalin, this was a catastrophe that he couldn’t ever have imagined. That evening, he left his office and went to his dacha. According to Molotov, his closest comrade, he was bewildered and disorientated. ”Everything’s lost. I give up. Lenin founded our state and we’ve fucked it up!” he swore as he was driving away from Kremlin. It seems that, at this point, he realized how wrong he had been and how huge the consequences would be of his poor leadership. The next morning, Stalin was nowhere to be found. He didn’t arrive at the Kremlin, and no one dared to ask where he was. What they found out through Molotov was that he had shut himself in his dacha. Stalin didn’t respond to phone calls and didn’t want to see anyone, let alone to speak to anybody. Disorientated and dispirited, he just wandered around the estate. He was depressed, to say the least. This condition of his lasted for two days. During that period, the Soviet state and the Army had no leader. The Germans were advancing on all fronts, and no one dared to take control in Stalin’s absence. 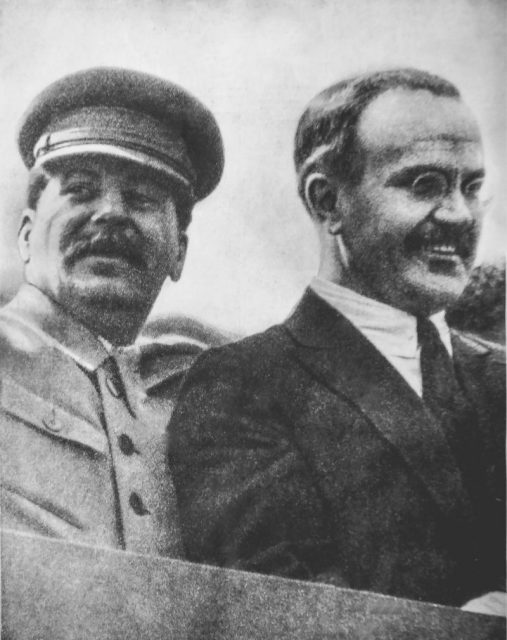 Not even Molotov wanted to sign any orders, scared that Stalin might misconstrue his actions once he returned. Only on June 30 did the members of the Politburo go to check on Stalin. They found a gloomy old man sitting nervously in his chair. When Stalin saw all of them gathered, he appeared petrified. 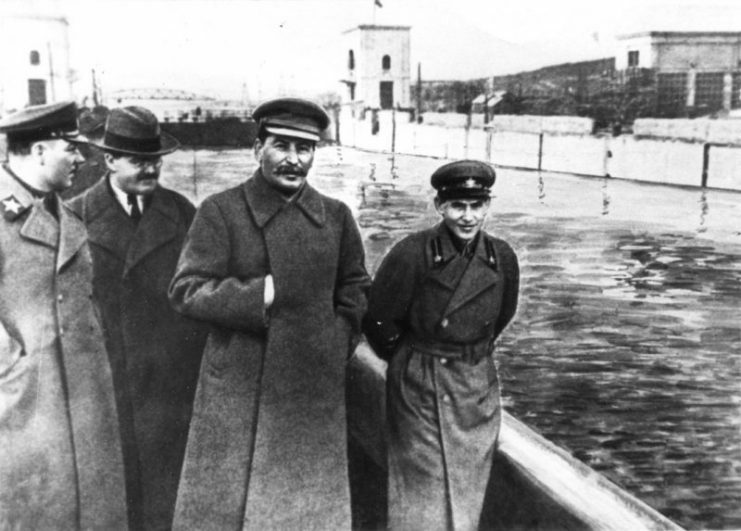 The men later attested that Stalin looked as if he believed they had come to arrest him. Even though it appears Stalin did suffer some kind of a nervous breakdown, many historians believe that he was playing a game all along. 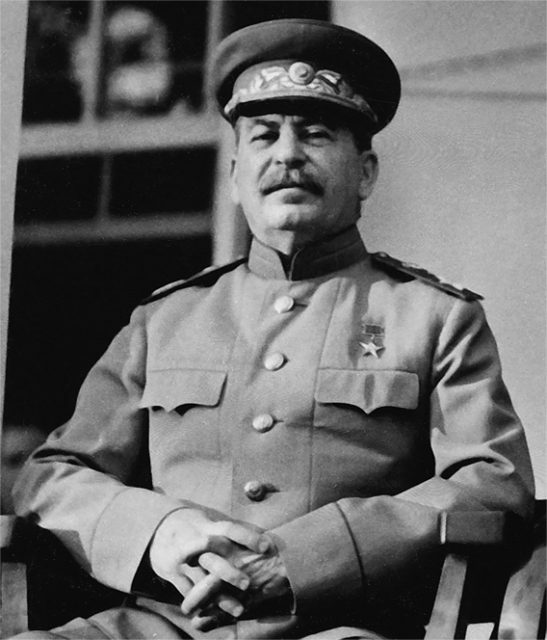 Stalin was the mastermind of politics; he used his fall to strengthen his position. He remembered what the famous Russian Tsar Ivan the Terrible did when he felt his rule was threatened. He withdrew from power to test the loyalty of his nobility. Stalin decided to do the same. It was a test to see if anyone would blame him for the situation the Soviet Union found itself in. He also needed to know if he still had undisputed power now that his decisions had brought the country to the edge of total disaster. There’s no doubt, however, that he feared for his safety all the time. But it seemed that Stalin didn’t have to fear for his throne after all. He got the full support from all the Politburo members that night. Not only did they fear him but they also knew that his name alone was the greatest inspiration for the people to fight. He was irreplaceable. On July 1, Stalin returned to his office with his old confidence back. He was once again determined to be the ruler and to lead the fight against the Germans. Ultimately, the way Stalin governed the Soviet Union saved his life. Every one of the highest members of the party as well as the government thought of him as irreplaceable. More importantly, they were immensely scared of him. Those who might have acted differently in this situation had already fallen victim to his purge. His reign of terror might have saved his life, but his incapability as a commander cost the Soviet Union the lives of more than 25 million people.